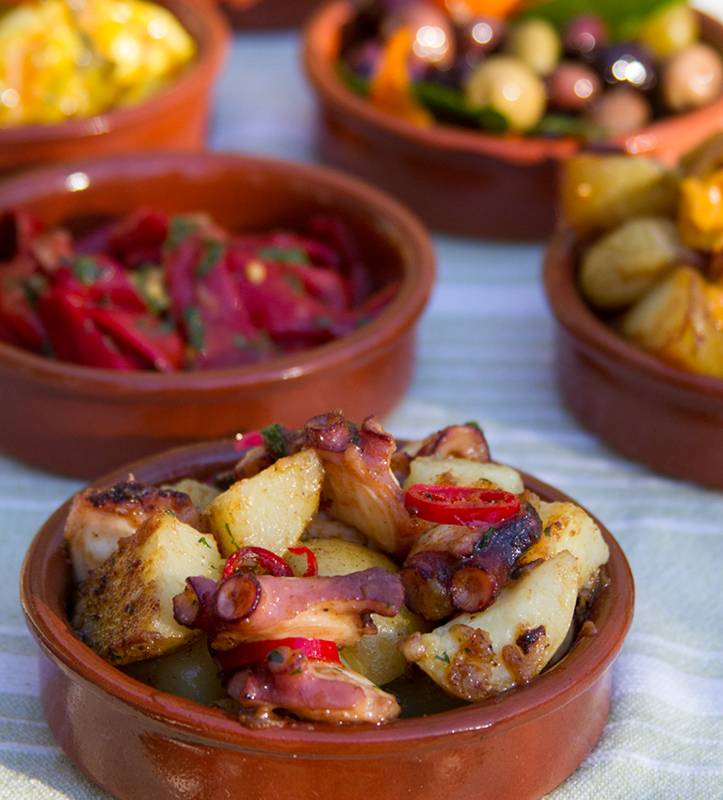 The sweet sea-flavor of the octopus is well balanced by the earthy and spicy aroma of the potatoes. 1Boil the potatoes with the skin in salted water. Once ready, let them rest until they cool enough to peel the skin off. Cut them to bite-size pieces. 2Cut the cooked octopus to pieces. In a large pan over medium heat melt 1 tablespoon butter. Add the finely diced garlic and cook it for a minute. Add the octopus and the potatoes pieces. Sprinkle over smoked paprika and cook them for another 5-7 minutes. Before serving garnish with freshly chopped parsley.